Recently, KouZina Greek Street Food on Main Street in Royal Oak had a party honoring their first year in business. Attending were many fans, friends and family, including the Original Olga (Loizon). Of course Bobby Laskaris, KouZina’s owner and chef, served lots of delicious Greek food and pastries. Good luck to KouZina! May you have many years of successful entertaining. 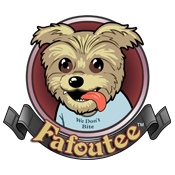 This entry was posted in Fafoutee, Small Business, Video and tagged KouZina Greek Street Food.